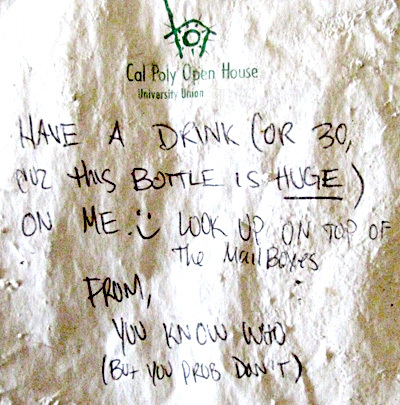 I was walking back from class at Cal Poly and found this on the sidewalk. Seems like this person either wants to get the other one drunk. Or maybe they are thanking them for something with a giant bottle, probably alcohol.